If you are looking for something free, fun and family-friendly to do this June, then Rallyfest 2011 could be for you. The event, the latest in a succession of promotional extravaganzas for Wales Rally GB, will take place at the Royal Welsh Showground, Builth Wells, on Saturday 4th June. After last October’s inaugural Rallyfest extravaganza in Llandudno, Wales Rally GB will be continuing its promotional tour programme in 2011, starting with an equally exciting event at the Builth Wells-based Royal Welsh Showground on the 4th June. Access to spectators for this fun-filled, family-friendly event will be completely free. The 2011 Rallyfest will be run in conjunction with the Severn Valley National Rally, which is also based at the showground over the same weekend. 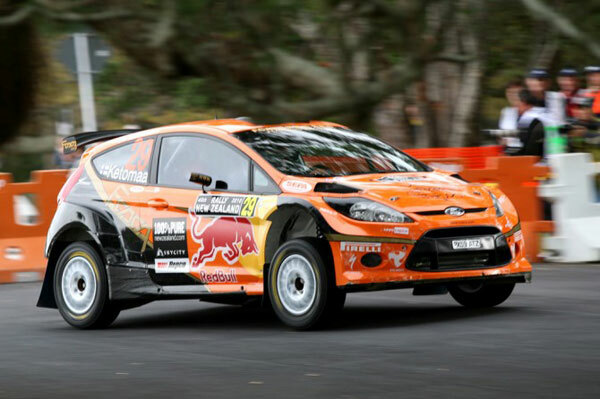 Rallyfest will bring World Championship and British-based rally crews to mid-Wales for a day of action and celebration that will highlight the extended four day itinerary of 2011’s Wales Rally GB, which runs from 10-13 November. Rallyfest is visiting mid-Wales in the summer so motorsport fans, both old and new, can get a taster of this year’s Wales Rally GB ahead of the potential title showdown of the FIA World Rally Championship in November. A dedicated course is planned for Rallyfest to show off the spectacular rally cars and teams, with the top finishing crews from the Severn Valley National Rally also being invited to take part. As well as the cars, there will be a wealth of entertainment for the whole family, including live music, local food and drink, face-painting and competitions to win tickets to this year’s Wales Rally GB. “With the support of the Severn Valley National Rally, Powys Council and the Royal Welsh Agricultural Society, we will be laying on a mouthwatering display of contemporary and historic rally cars, representing both the past and present of Rally GB. This year’s Wales Rally GB will be run over four days and will start with an opening test on the Great Orme, taking in much of Wales, before finishing in Cardiff on Sunday 13th November.